Perennial of the Year 2016! 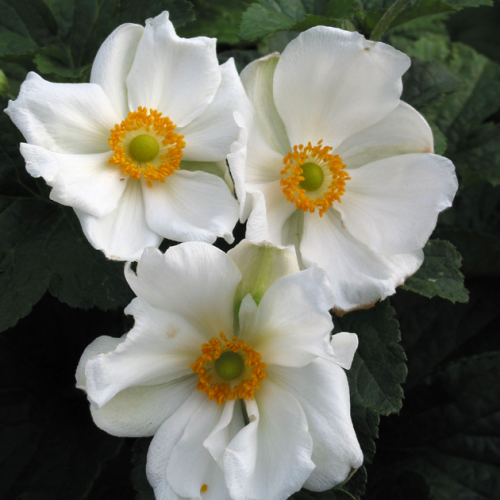 'Honorine Jobert' is an old garden hybrid - an elegant perennial with plenty of dazzling white flowers that was discovered in the French garden of M. Jobert of Verdun, France in 1858. 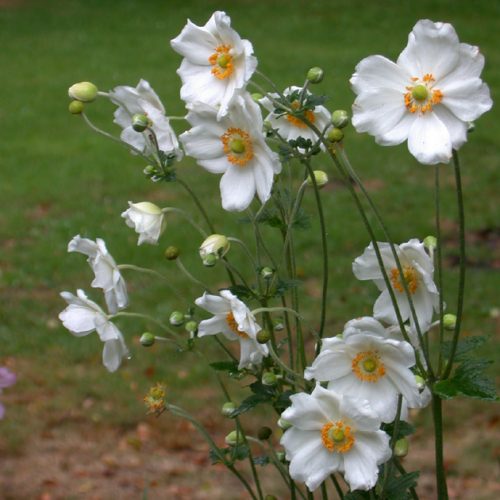 These graceful plants with single white flowers on wiry stems, derive their name from the Greek word for wind—anemos—and they are sometimes called windflowers. 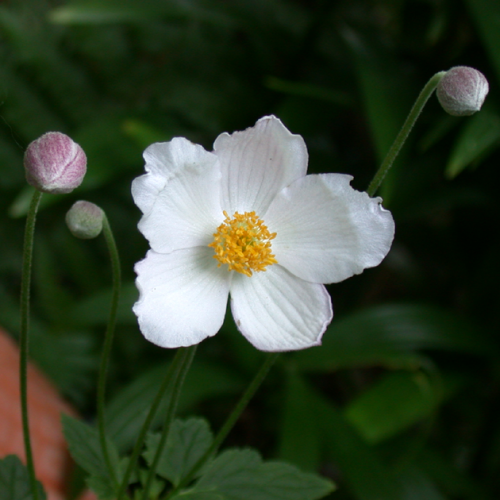 Japanese Anemone's are delicate in appearance, with pure white blooms tinged pink on the reverse which, when lit from behind in a woodland setting, have a magical effect. Despite the appearance, it is a sturdy, hardy, easily grown plant nearly impervious to pests and disease.